He comes in a boring box. Whoop-de-freakin’-doo. 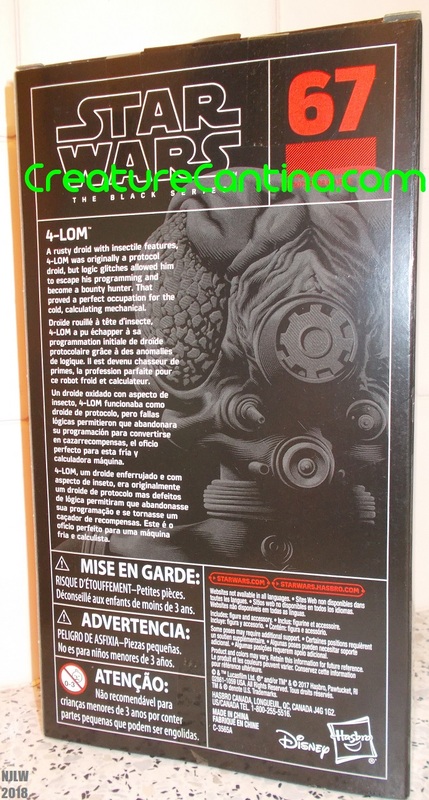 The back of the box has some text on it in four different languages (English, French, Spanish, & Portuguese). It contains nothing about 4-LOM you probably haven’t read a zillion times before. The rest of the box is even more boring and not worth looking at. 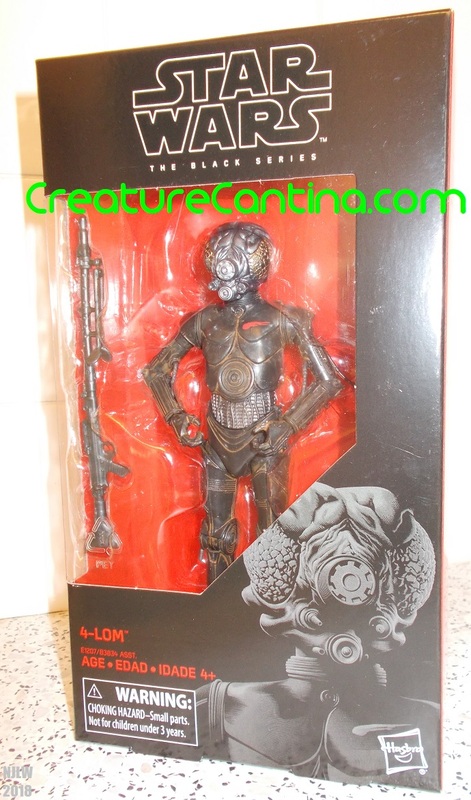 Inside the box, you get your 4-LOM figure and his Imperial-style BlasTech DLT-19 blaster rifle. He is impressively poseable. You can just about get him in an “action” stance, but he’s still a bit inflexible. Almost light-piping! His head is made out of translucent green plastic and painted over. When the light catches his face at juuuuust the right angle, you can get a little bit of glow coming out of the optic sensors. 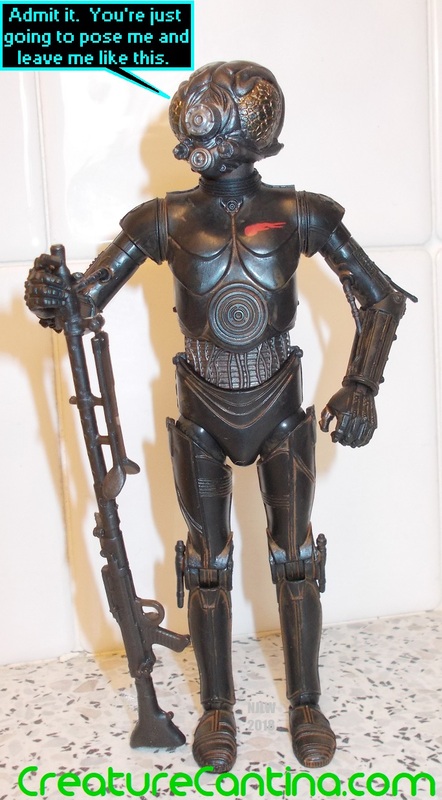 You can modify your 4-LOM for better light-piping (if some of the pictures I’ve seen online are any indication), but since his eyes didn’t glow like headlights in the movie, I think I’ll just leave mine as-is. Let’s get down to it: is he worth getting? If you’re into bounty hunters and / or robots, definitely. If you’re not into background characters, he’s a safe pass. The sculpting and paint are very good, including the grungy, rusty wash. The little details like his softly-glowing eyes (when you get him in the right light) and his moving arm-pistons are nifty and welcome touches that would look good on other droids, like a really good C-3PO update. Could he be improved? Yes. The insert tray is too tight and tends to warp his elbow and knee pistons. 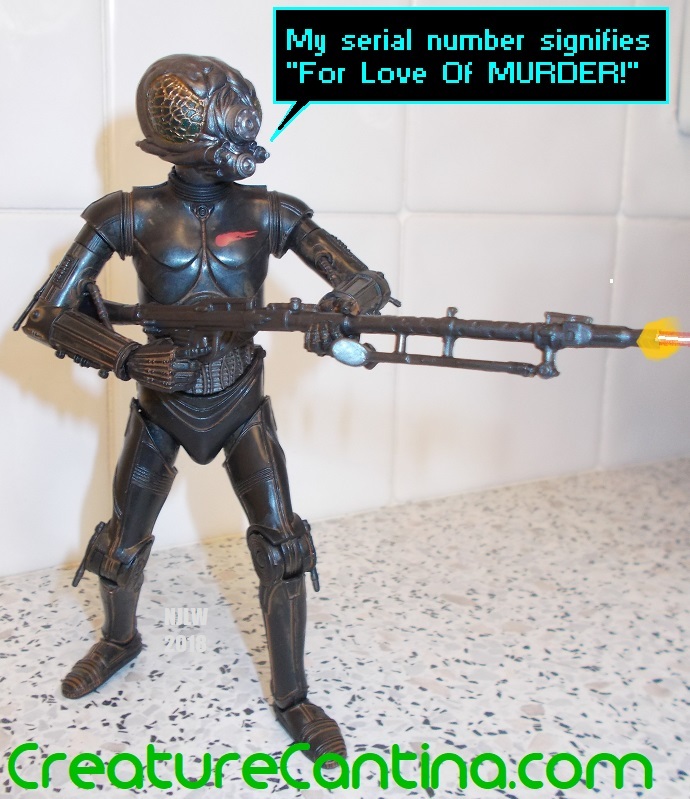 Another gun, like perhaps his additional POTF2-style smaller rifle would’ve made him seem like a bit better value for money. Otherwise, an extremely nice and cool-looking figure to round out a display. 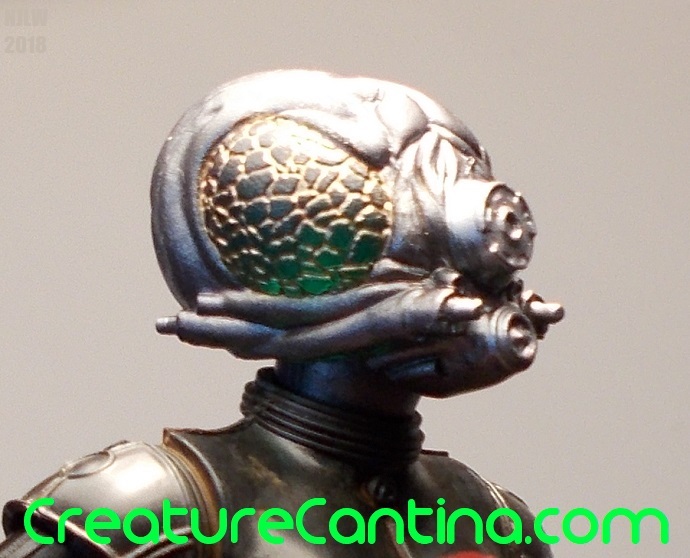 Now, if only his partner, Zuckuss, weren’t a Disney Store exclusive . . . .